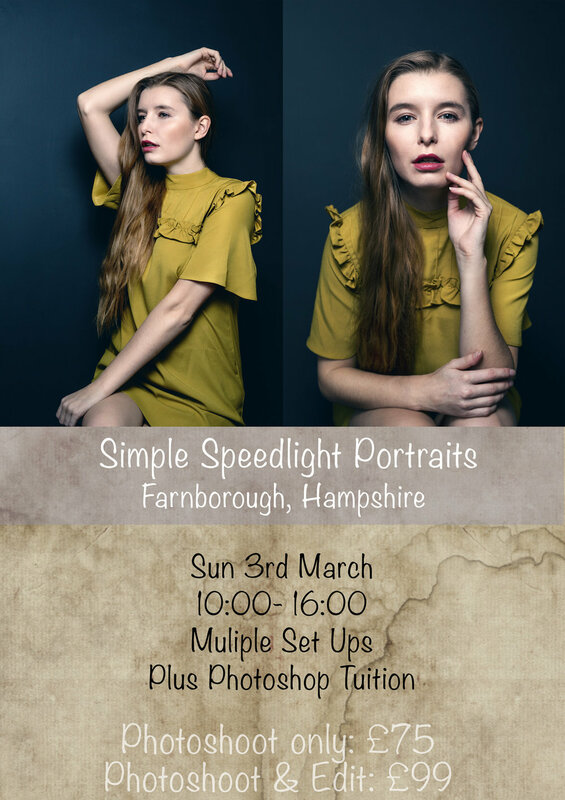 Sunday 3rd March - 10am- 4pm - In Farnborough, Hampshire. I will demonstrate the set up above on the poster and variations on that. Centred around getting to grips with speedlights and giving you the confidence to use them effectively for all situations. I will aslo take you through developing a story within your portraiture, model direction and posing tips. Learning how to tell a story with portraiture, using props lighting techniques and model direction, bringing all the elements together to create a few different looks and moods.